Hi there! My name is Vincent, and I’m a web developer and graphic designer from France, near Marseille. 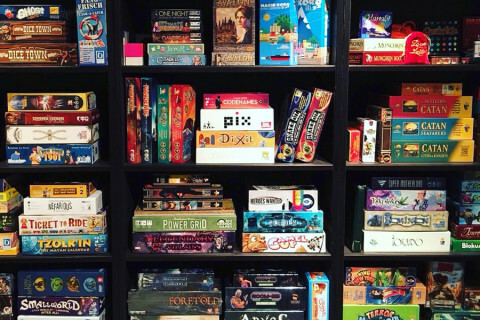 I’m a big board game enthusiast and I have a dream to one day have my own board game published. 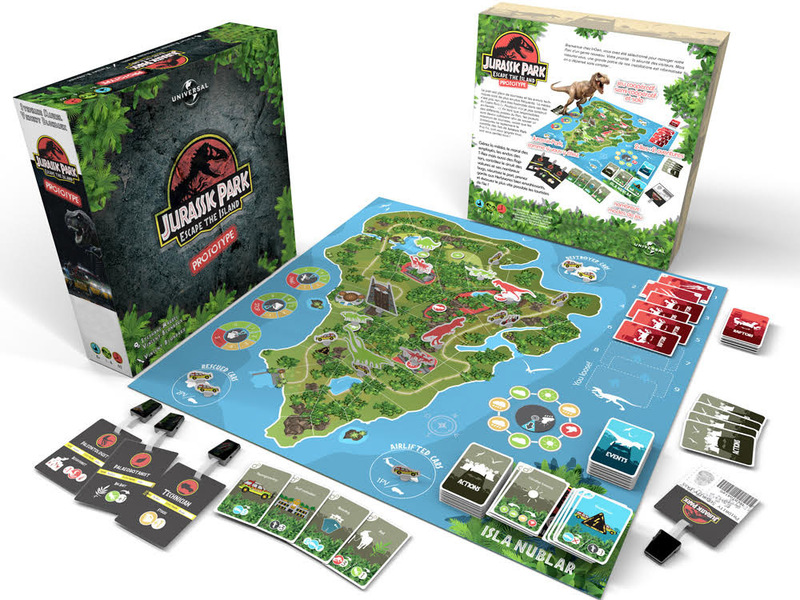 I’ve been a fan of Jurassic Park since the film’s release in 1993, and I found that the official board game did not really pay tribute to the film, despite its superb materials. The way in which players were playing against each other, trying to make it back to the visitor’s center, was a little bit bland. The main characters in the movie contrarily help each other, make sacrifices, and take risks to survive together. 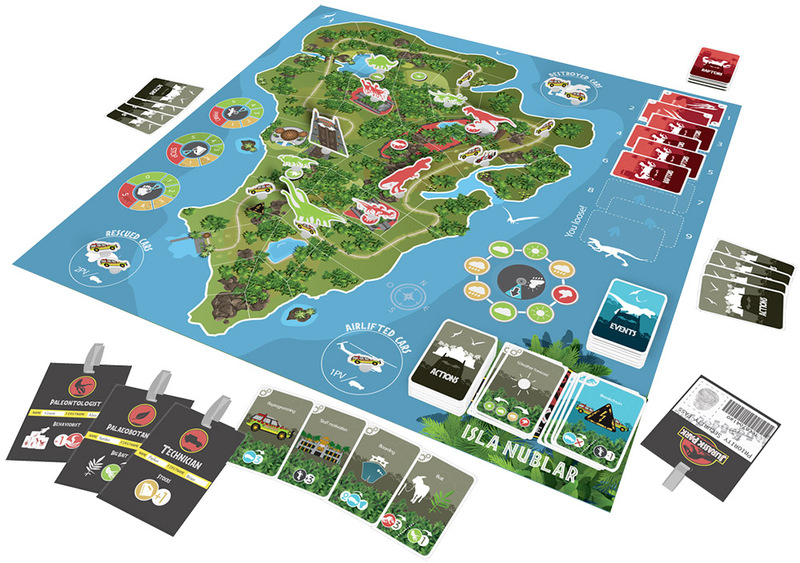 Being a fan of management games, one of my first designs was a park management game. 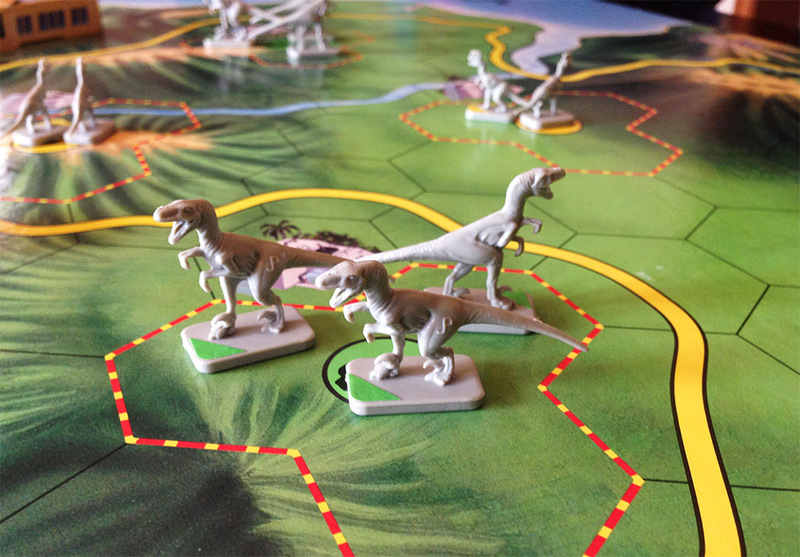 Each player had to build their own dinosaur park with tourist routes, attractions, and develop their own dinosaurs. 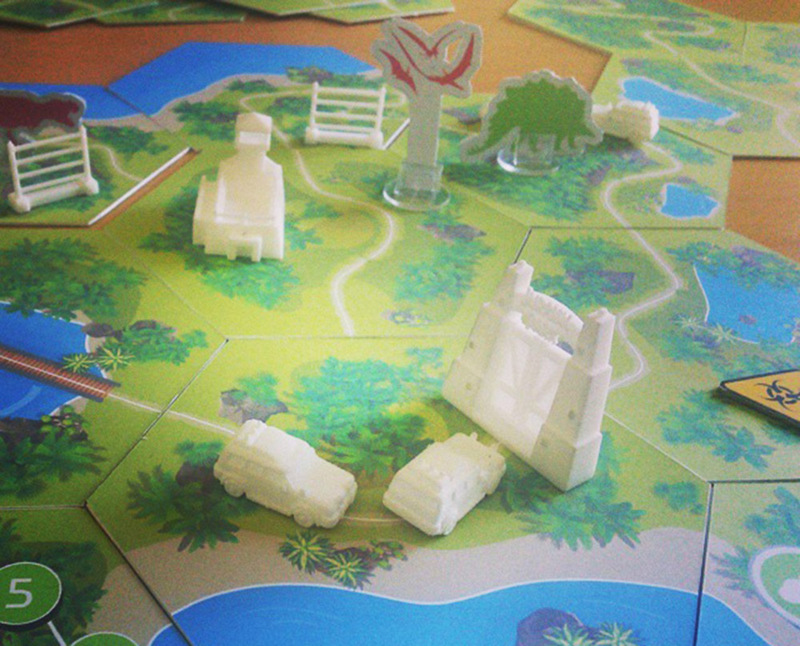 Each player had his own board, representing the map of the park, consisting of land to build on. To place a dinosaur, you had to make an enclosure for the dinosaur first (field for herbivores, electrified enclosure for carnivores, secured bunker for raptors and a birdcage for flying dinosaurs). Next, you had to create the dinosaur’s DNA with cards, to gain money and prestige. Of course you could also build attractions, depending on your money and dinosaurs. In addition, a vehicle moved along the locations, thereby activating the card that was placed at this location. The game worked, but it was not exciting at all. The desire to play again was missing. There was no interaction. 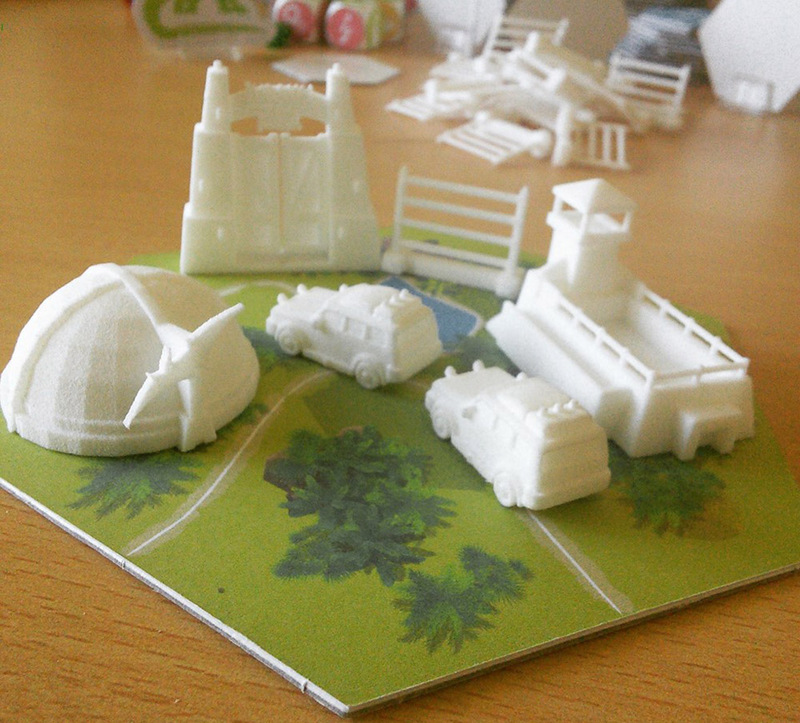 The prototype ended up in the trash bin! A second version was made that incorporated influence from the weather forcing players to close parts of their islands. But the result was disappointing. I’ll also spare you the 4 other versions of this game which led to nothing. 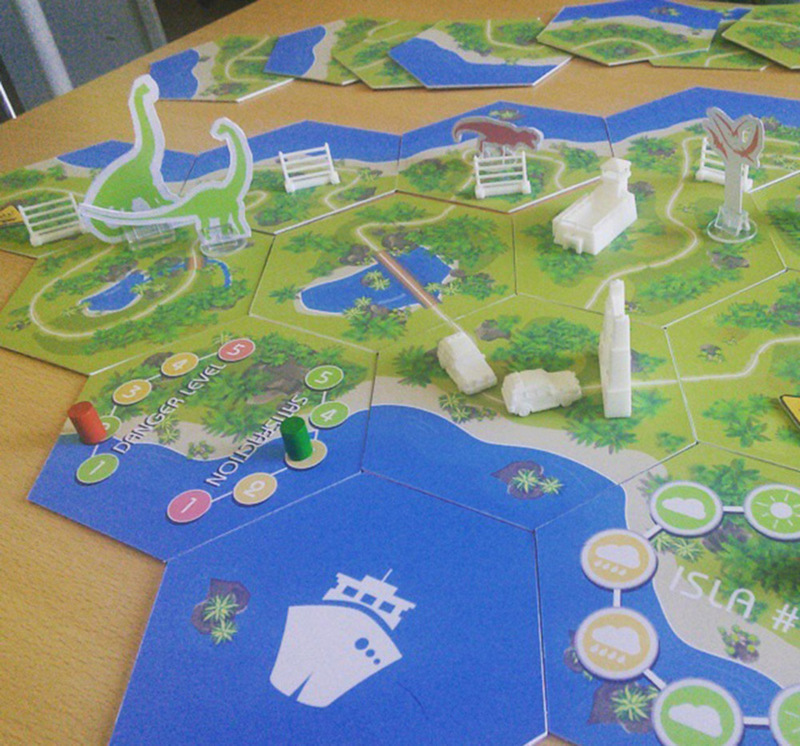 Then I started working on the same idea, but with a scalable board consisting of large hexagonal tiles, where all players control the same park to enhance interaction, but with secret purposes such as building continuous enclosures or creating certain dinosaurs. The advantage of this is that each game is different: the map expands gradually as it forms different areas to build on. Unfortunately, I encountered a new problem: Too much material! Far too much! The game consisted of thirty 3D-printed playing figures, thirty hex tiles, 200 cards, dozens of chips, dinosaurs, buildings, dice etc. 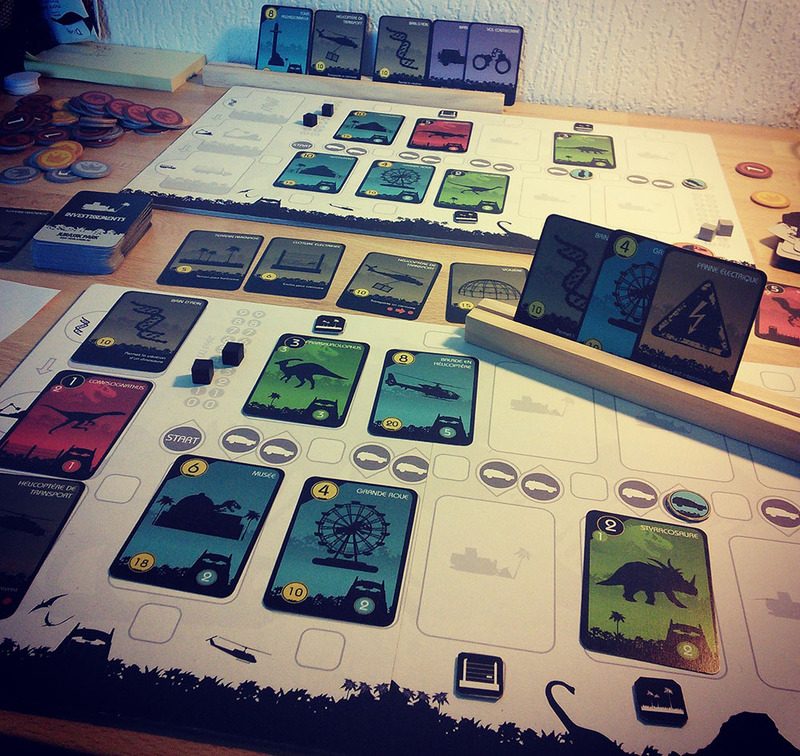 A kind of dinosaurs Caverna version, if you know what I mean. 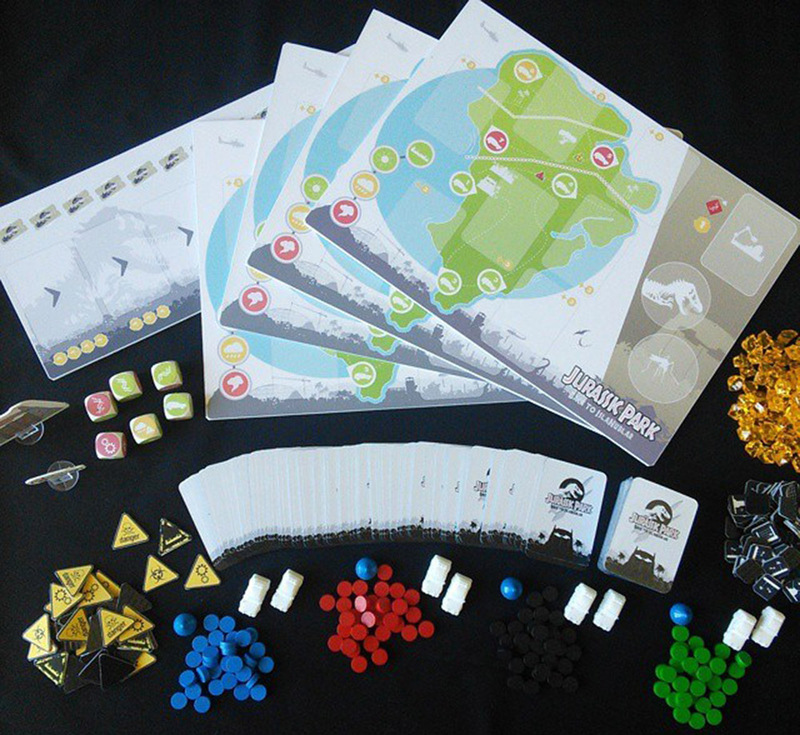 I did not present this prototype version to publishers. At that time, I found myself stuck, unable to get right the management game that was not working. 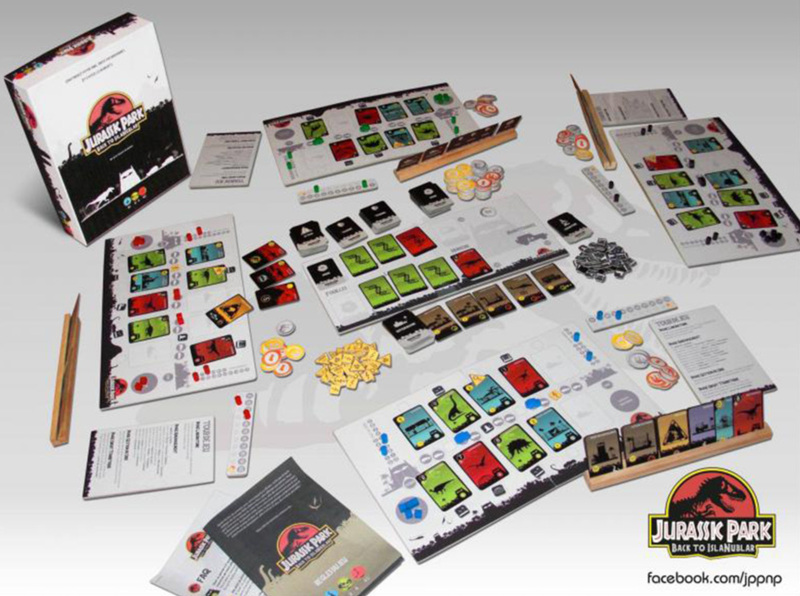 But then, another fan of Jurassic Park came to my rescue and became the co-author of the game. We went back to the film, wondering what had made it such a success. And so we began to develop an adventure game, where all players must cooperate to save the maximum number of tourists. And Jurassic Park: Escape The Island finally saw his first proto realized. The strengths of the film are now in the game to make sure every game is exciting: risk, sacrifice, anticipation, difficult decisions that have to be taken… And now? We have completed more than 200 player tests with family and friends, to balance the game, adjust it, and correct rules. 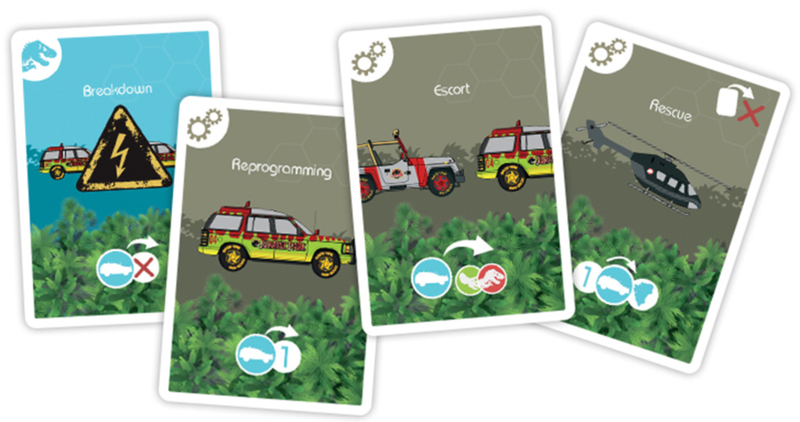 We also developed several variants, as well as additional cards in order to maximize the replay ability of the game. Our next step is to present the game to the players, and we look forward to their responses. Thank you for reading and hopefully we will soon be able to realize our dream. 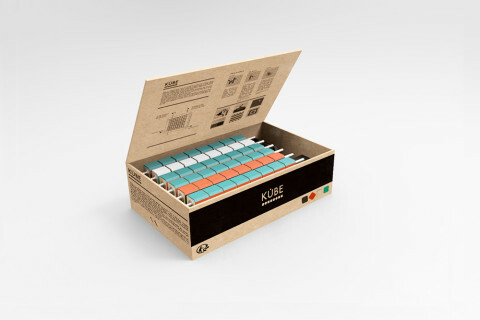 Interested in this project? Click here for more information. Stunning prototypes! I want this game now ! Will we be able to buy it soon? 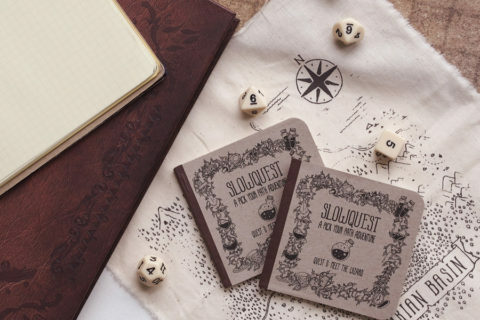 That first idea sounds JUST LIKE a game I was trying to put together, but hadn’t managed to come close to! I’d be extremely interested in some more detail on how that one worked. Fix that logo! Wrong Type face. Argh! If the game is so good why don’t you just remove the JP license and just go with some generic dinosaur park escape? The concept would totally work without the branding!